Tired of not being able to get the salmon hooks you want. 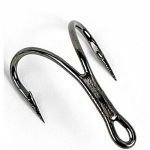 These Osprey hooks are strong, reliable - and reliably in stock almost 100% of the time! !